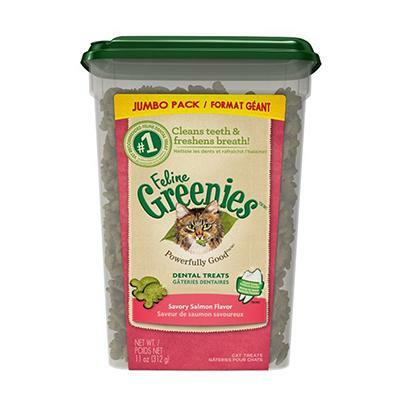 Greenies is the classic kitty treat that will clean your cat's teeth while also freshening their breath. 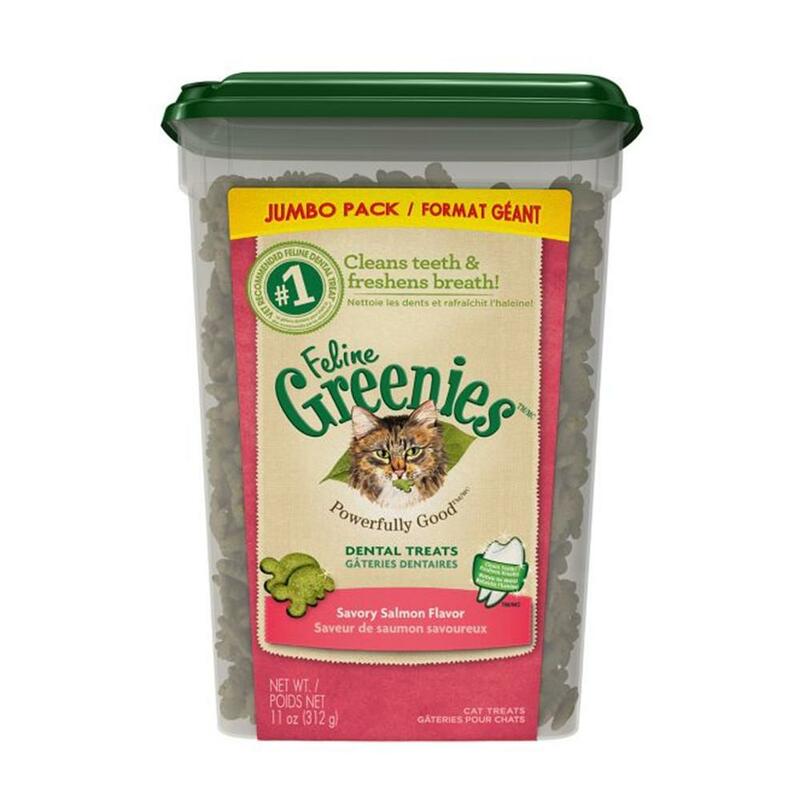 Greenies has a natural formula infused with vitamins, minerals, and other nutrients. Chicken meal, wheat, brown rice, corn gluten meal, poultry fat (preserved with mixed tocopherols), oat fiber, natural poultry flavor, salmon meal, ground flaxseed, brewers dried yeast, minerals (potassium chloride, calcium carbonate, salt, ferrous sulfate, zinc sulfate, zinc oxide, copper sulfate, manganous oxide, sodium selenite, calcium iodate, cobalt carbonate), choline chloride, citric acid, (a preservative), fruit juice color, taurine, dl- methionine, mixed tocopherols (a preservative), vitamins (dl-alpha tocopherol acetate, niacin, d-calcium pantothenate, vitamin A supplement, thiamine mononitrate, riboflavin supplement, pyridoxine hydrochloride, biotin, vitamin B12 supplement, vitamin D3 supplement, folic acid, turmeric color, rosemary extract.